The equality of life is an amazing phenomenon that touches deep into the heart, and the gut, of every herbivorous animal, when perceiving any other herbivorous animal, through the lens of this natural equilibrium. It establishes a camaraderie that’s essential to life -- one that allows respect and shared commons to persist. 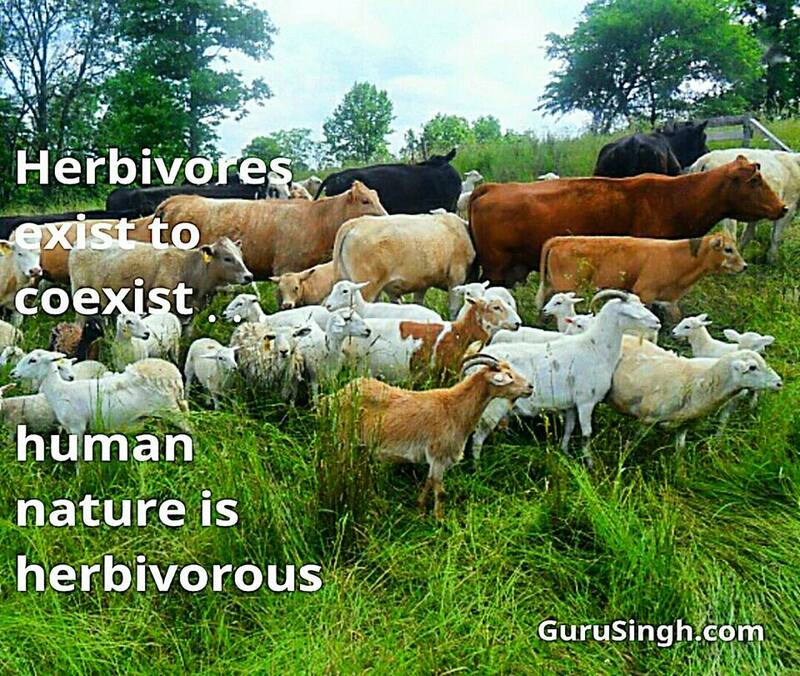 Herbivores move and eat in herds, without the thoughts of ownership, territory, or exclusivity over food, or energy . . . it’s all for the common good. This camaraderie is essential when building any future that allows populations to dramatically expand. Carnivores are the equalizers, but they’re population must sustain a balance, and never expand beyond a healthy ratio to the planet. This is the dilemma that’s facing humans on Earth -- to exist and persist without destruction, or expand as carnivores beyond the sustainable ratio. When the camaraderie of equality is missing from any expanding population specie, the animal becomes barbaric, chaotically territorial, and savagely cruel . . . just like today’s Earthly humans. These patterns of interactive behavior ultimately destroy the habitat into extinction. There’s going to have to be a radical shift in direction . . . either humans will die off into extinction, or near extinction, or the global diet will have to shift. Equality of life is a natural condition amongst herbivorous, but for humans this will take time . . . the kind of time that Earth doesn’t have. Highly evolved civilizations all over the multiverse have arrived at their advanced levels of evolution through thousands, and or, millions of years of evolutionary failures . . . the exact failures this Earth is currently experiencing, but Earth doesn’t have any time left to fail. This is why you’re here, you’re on a mission with an experience to share wisdom from the future-past. You realize Earth's chaotic, meandering road leads this primitive humanity nowhere and your advanced mind is holding a brighter future from the past. Our prayer is that you realize this and step into your role; that you step up, keep up, and get back up even when you’re consistently falling down. Life is counting on you to take charge . . . to be bold.